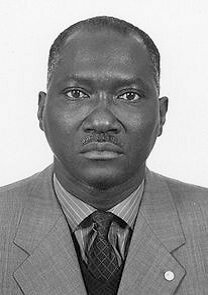 S. Diop is professor, U. Cheikh Anta Diop, Dakar, Senegal. He was head of the Ecosystems Section, UNEP Division of Early Warning and Assessment, Nairobi, Kenya. He obtained his 3rd cycle doctorate in coastal tropical geomorphology (1978) and his state doctorate in physical geography and coastal geomorphology (1986) at U. Louis Pasteur in Strasbourg, France. He was a senior Fulbright scholar at Rosenstiel School of Marine and Atmospheric Sciences, USA (1986-7). He is a member of various expert and working-groups, has more than 40 refereed publications, 5 books as main author and co-author and more than 120 publications such as technical documents, research work, monographs, thesis, abstracts and book reviews. S. Diop is a member of the Natl. Acad. 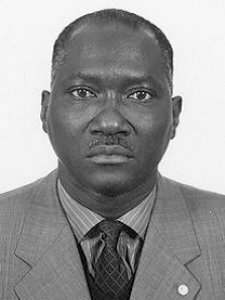 of Sciences and Techniques of Senegal and the African Acad. of Sciences. He was awarded the Nobel Peace Prize Certificate (IPCC 2007). Keywords	 Coastal oceanography; freshwater assessment; aquatic and marine issues; sustainable management and development.